A RANGE OF TRADITIONAL TIMBER GARDEN BUILDINGS WITH A HIGH PITCHED ROOF. 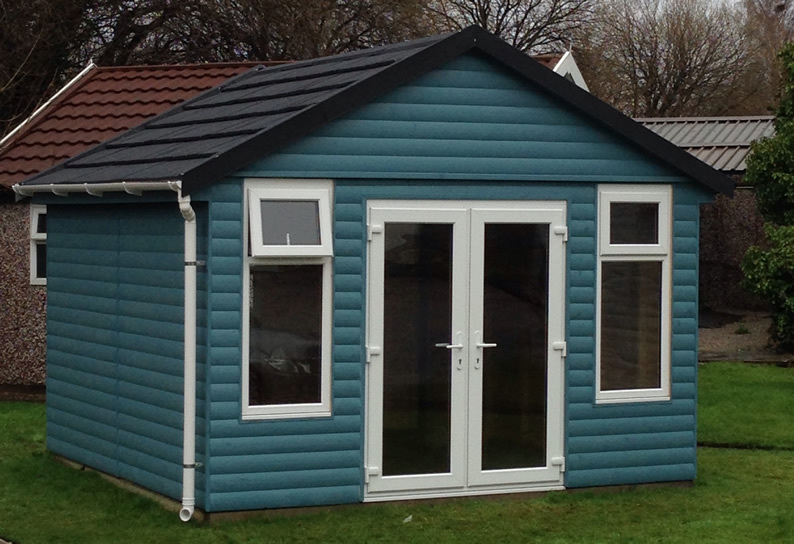 PAINTED EXTERIOR CLADDING IN A CHOICE OF COLOURS TO COMPLIMENT ANY GARDEN SITUATION. The Heritage Tool Shed features a painted Suffolk timber framed ledged and braced personnel door and either a white UPVC fixed window or if preferred a softwood window.